Manchester City’s attacking midfielder; Kevin De Bruyne has shrugged off the 4-3 defeat, his team suffered last night to now 3rd place Liverpool FC. The Belgium international took to twitter after the game hailed the camaraderie among his team mates, but also did not fail to acknowledge the fighting spirit of their Merseyside hosts. 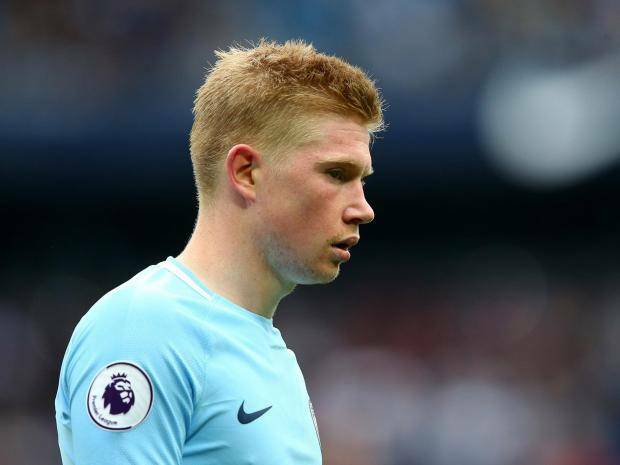 The Cityzens fell to their first defeat of the season as they lost to Liverpool but the players showed their class following the loss. Un duro partido en el que no alcanzó con nuestra reacción. Y como siempre, peleamos hasta el final.//A tough match – and our reaction wasn't enough. As usual, we fought 'til the very end. C'mon, City! !